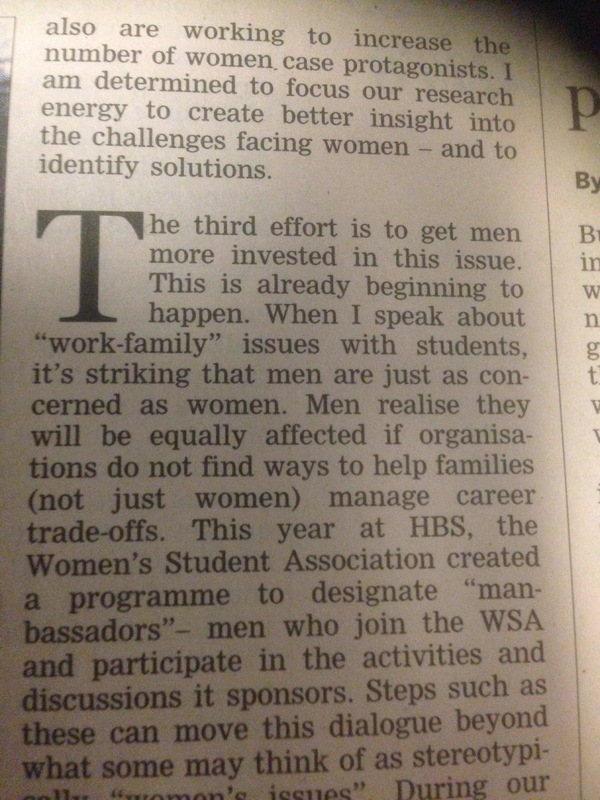 … that is Nitin Nohria, Dean of Harvard Business School , writing in today’s FT about gender bias. We all know that “work-life” balance is a contradiction in terms, as if work is not part of life. His phrase “work-family” balance avoids this misnomer. I believe that the sooner business embraces the family, as an essential stakeholder, the better. No families, no customers, no employees – nothing. Posted on November 18, 2013 by Ciaran Fenton. Bookmark the permalink. Agree totally ,wise words from Harvard !